part of the "Reclaim America from the Lunatic Fringe!" family of sites! Mike Papantonio appears on MSNBC‘s The Ed Show to talk about Newt Gingrich‘s chances of winning the upcoming Florida GOP primary, and whether Floridians will buy into his “moon colony” plans. The Republican Party is good at one thing…. Protecting the 1%. They cry class warfare when anyone challenges that sector of American‘s, but in reality Class Warfare is a war that the 99% didn’t start. Many of us were oblivious to the fact that there was even a war to begin with, but as we look back in history, we can clearly see the evidence of this growing conflict. 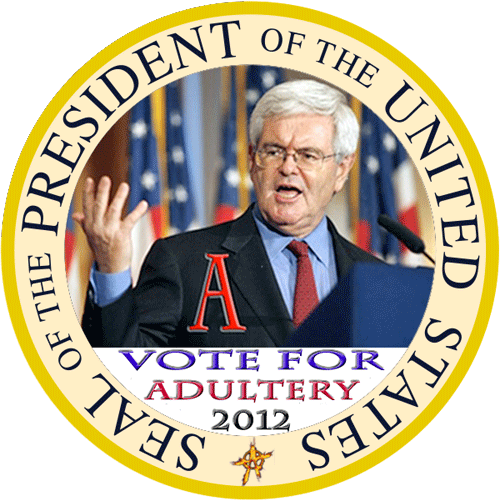 Once again, the 1% has chosen a new champion, in this 2012 Round-Robin presidential campaign, this time it’s Newt Gingrich, a lifelong politician, who has answered their call. Newt Gingrich is firmly in the 1%, and as a member of that club, he quickly rises to their defense. Former President Bill Clinton gives praise to GOP presidential hopeful Newt Gingrich. 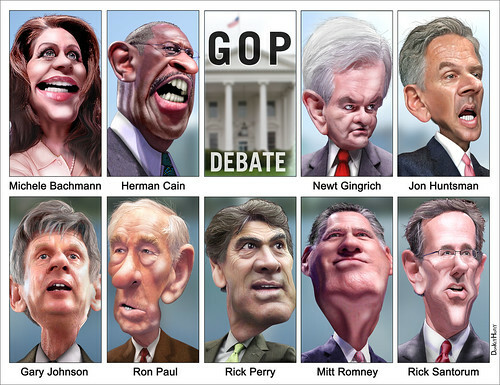 And You Thought GOP debates were boring! Bank executives place bets on which Occupy Wall Street protester will be arrested next, a churchgoer blanks on why she’s lighting a votive candle, and a new report finds that it’s all some kind of sick joke. Join "The Alliance for an 'Idiot-Free' America"
I'm "Idiot-Free" Sign me up!